It’s possible you’ve never heard of Tencent, and no-one would blame you for it. But if you’re a gamer, by now you’ve probably played a game from a developer which is either wholly owned, or at least heavily invested in, by Tencent. They’re a seriously gigantic Chinese investment company with their fingers in a whole bunch of pies. In fact, Tencent are the fourth largest internet company in the world, bested only by three names you definitely have heard of: Facebook, Alphabet (Google’s parent company), and Amazon. These behemoths of the tech world are in the news all the time, so why do we know so little about Tencent? Is the company shrouded in secrecy, or it just a case of a big Chinese company not communicating with the West? Looking to play one of Tencent’s games? Make sure you’ve got the best gaming mouse. Tencent Holdings Limited was founded in 1998 by Ma Huateng, Zhang Zhidong, Xu Chenye, and Zeng Liqing. In Chinese, its name is 腾讯控股有限公司, which means “soaring information.” Tencent mainly operate in China, but do have offices all over the world, and their investments are certainly far reaching. 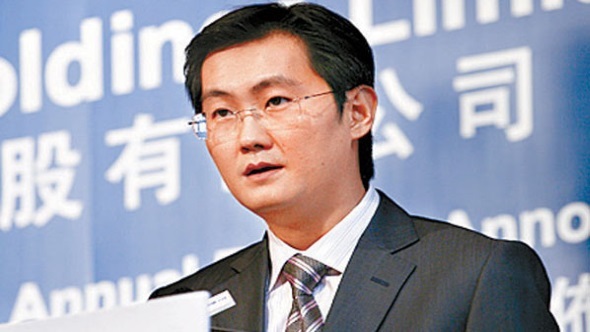 Chairman and CEO Ma Huateng is currently sitting at number 31 on the Forbes Rich List with a net worth of $24.9 billion. This puts him ahead of Microsoft co-founder Paul Allen, Tesla and PayPal founder, Elon Musk, and media mogul Rupert Murdoch, among many others. Huateng’s company have spent the last 18 years growing their empire, and buying out anything they wants to add to their ever-expanding list of companies and services. This month, according to China Daily, they surpassed Wells Fargo and became the world’s tenth biggest publicly traded company in terms of market value. Tencent is a name you might hear in passing when talking about videogames, or read about in a brief financial report. Some of their products include instant messaging service QQ, which has nearly one billion active accounts. They’re also behind the massive web portal QQ.com, mobile chat service WeChat, and online payment service TenPay. But it’s Tencent’s investments in gaming that are of particular interest, and which account for a lot of their earnings. Overall revenue for Tencent last year was $21.9 billion, and according to Technode, 47% of that revenue came from their gaming section. Much like Tencent, the online first-person shooter CrossFire is the biggest thing you’ve probably never heard of if you live in the West. When you think of gigantic shooters, you think of Counter-Strike, you think of Halo, you think of Call of Duty. Would it surprise you to learn that CrossFire, a game from Korean developer SmileGate and released in China by Tencent, is the world’s most-played FPS? It’s also the second highest-grossing online game in the world, behind a little game called League of Legends, which we’ll learn more about later. CrossFire has been around since 2007 in Korea, with Tencent pushing it out to China a year later. According to its developer SmiteGate, CrossFire has 650 million registered players, with eight million concurrent users. 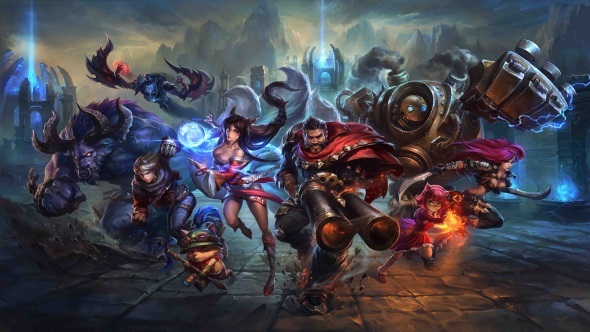 In 2013, it was the highest-grossing online game worldwide, according to Forbes, when it raked in $957 million, dwarfing League of Legends in second place with its meagre $624 million. Nowadays, League of Legends has surged ahead, however, CrossFire remains no slouch. There’s even talk of a film adaptation. Back in 2015, Variety reported that Neal Moritz, a producer on the Fast and Furious franchise, is set to bring the big game to the big screen. Why is the game so popular? Well, if you’re familiar with Counter-Strike, it’ll be easy to see why. It’s remarkably similar to what many people say is the shooter of all shooters, and with its pay-to-win microtransactions giving you better weapons if you pay real cash, it’s also easy to see why it makes so much money. The fact that it’s free, and that it’s an ancient game which will run on just about any PC hardware, make for a low barrier to entry, too. Tencent don’t get all of that CrossFire cash, of course, so where does the rest of the money come from? It doesn’t take a lot of digging to uncover all of the games Tencent have invested in, and then it becomes very clear. Let’s start with the obvious. Riot Games, developers of League of Legends, the game with the biggest player base in the world bar none, are entirely owned by Tencent. Last year, Tencent bought a majority stake worth $8.6 billion in Supercell, developers of Clash of Clans and Clash Royale, two of the biggest mobile phone games in the world. 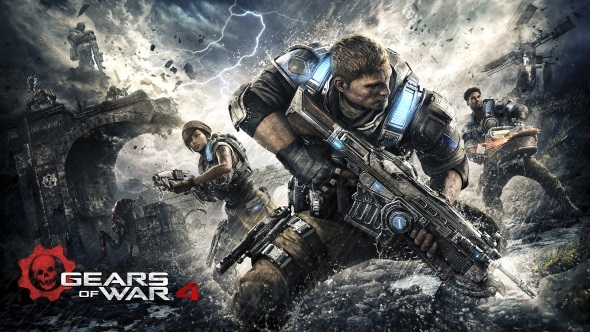 Back in 2013, Tencent bought a nearly 50% stake in Epic Games, developers of the massive action franchise Gears of War. In the same year, Tencent participated in Activision Blizzard’s buyback from Vivendi. Tencent’s stake is $2.3 billion, giving them around 25% of the company which puts out Call of Duty, World of Warcraft, Overwatch, and Candy Crush. I was still interested in the way Tencent run their business though, so I reached out to their other investments to see if they had any more insight. Supercell are based in Finland, and they’re one of the largest mobile game developers in the world. In 2015, according to Business Insider, their mobile game Clash of Clans was making $1.5 million per day. Tencent own 86% of Supercell, so once again I got in contact to see if they’re given license to operate as normal under their huge investor. The response I received was much the same as I got from Riot. “Unfortunately the Supercell team is entirely dedicated to game development at the moment and no-one is available to answer questions or dive deeper into this topic with you beyond what’s already been provided.” It’s a shame that all 180 members of the Supercell team were too busy to answer a few questions on that day. Instead, I was linked to Supercell’s press release regarding the acquisition, and that was that. A trend was beginning to develop. Next up on my list of contacts were Activision Blizzard, who publish some of the biggest games around. They were founded in 2008 after the merger between Activision and Vivendi, although many of their constituent parts have been around for much longer. Their fold currently includes Activision, Blizzard Entertainment, Major League Gaming, Activision Blizzard Studios, and King Digital Entertainment. 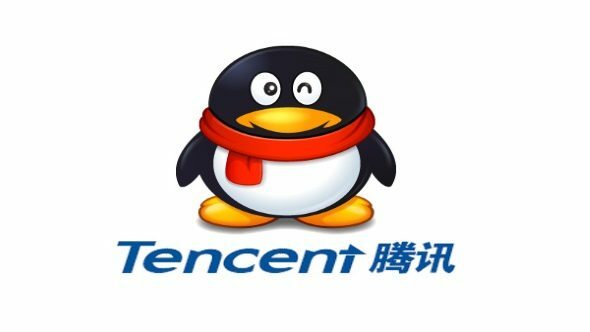 After the split from Vivendi, Tencent now own about 25% of the company. 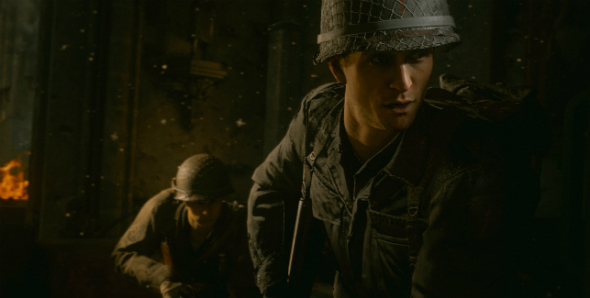 Activision release a new Call of Duty game annually, which has consistently been one of the biggest game franchises around for well over a decade. Blizzard were founded in 1991, and own World of Warcraft, which has been running since 2004 and is the most successful MMORPG ever. Other Blizzard games include the StarCraft franchise, which was once the world’s biggest esport, Overwatch, a hugely popular shooter released last year, the Diablo franchise, which includes some of the most well-loved action RPG games ever, and Hearthstone, a massively profitable online card game. Major League Gaming is a professional esports organisation which hosts regular large gaming tournaments watched by hundreds of thousands of people. King Digital Entertainment released Candy Crush Saga in 2012, and if you’re in a public space you can look around and probably see someone playing it, or one of its variants, on their phone right now. Surely one of Activision Blizzard’s 9,000 employees would have something to say about Tencent, one of their major investors? My PR contact there replied saying they didn’t “anticipate anyone being available, unfortunately.” An exact answer on someone’s availability was promised, but I’m still waiting for a reply two weeks later. The trend continued. Epic Games were founded by Tim Sweeney in 1991 under the name Potomac Computer Systems and later Epic MegaGames, and Sweeney still runs things today. Over the years, the studio have released huge games like Unreal Tournament, Gears of War, Bulletstorm, and Infinity Blade. So what does Tencent’s 48.4% stake in the business mean for the running of the company? After the sale, according to Polygon, Tencent appointed two representatives to Epic’s board of directors, and Epic’s Vice President had also told Polygon previously that Tencent’s business is “highly complementary to ours.” But I wanted to know more, so once again, I reached out. A reply with a quote from CEO Tim Sweeney came in the next day. “Tencent has been a great partner to Epic Games. In terms of corporate governance, they are a minority shareholder with representation on our board of directors, but have no means of acquiring or exerting control. I’m the controlling shareholder in Epic.” Not much in the way of new information there, but at least I’d received an up-to-date reply, or so I thought. The next sentence in the email read: “This was originally provided to The Wall St Journal.” It seemed that still no-one wanted to talk about Tencent beyond what was said in the past. My only remaining option was to go straight to the source. Tencent are a massive company with a lot of moving parts, as you can see from this extensive Contact Us page on their website. In fact, there are so many moving parts that a number of the addresses listed here are either out of date, or simply don’t exist anymore. At the time of writing, I’ve tried to get in contact with multiple people on this list, using two separate email accounts. The Gmail account I usually use for work is apparently blocked by the Tencent email server, and I’ve currently received no replies to emails sent from an alternate account. Tencent are the biggest company the gaming industry doesn’t want to talk about. Perhaps isn’t allowed to talk about. King’s CEO Riccardo Zacconi was happy to discuss his company’s acquisition by Activision with VentureBeat in 2015. Bioware co-founder Dr. Ray Muzyka spoke with Gamespot in 2008 after they were bought out by Electronic Arts, and his co-founder Dr. Greg Zeschuk went into more depth about the deal with GamesIndustry.biz a few years later. With Tencent, this could just be a case of a massive company not wanting to reveal the details of its investments, but the sheer number of “no comment” replies and lack of any new information seems odd. Tencent are sitting at the top right now. They’re not just controlling a number of videogame companies, but the size of their investments means Tencent own a significant portion of the gaming industry as a whole. Plus, with the company still going strong, you can expect more multi-billion dollar investments to come during the next few years. Clearly, Ma Huateng’s company didn’t get to the top by talking to people about the way they operate. It appears the secrets to Tencent’s success will remain exactly that for some time to come.